With less than a month to go before the elections, cannabis advocates in 8 states are a-buzz with anticipation about voting on adult-use marijuana measures. While legalization would bring regular users of illicit marijuana out of the shadows – and put illegal street vendors out of business – there are far more important reasons for us to pass new marijuana laws. Diverting black market money back to our economy, creating millions of jobs in sectors that support the growing marijuana industry, saving taxpayers money on law enforcement, judicial process and incarceration of non-violent drug offenders, are just a few. For those who are satisfied with current medical marijuana laws but only luke-warm about regulating marijuana like alcohol, improved access for patients suffering with medical conditions that don’t qualify for treatment under existing state programs provides a compelling reason to get behind legalization. Medical marijuana laws are notoriously restrictive. Not all medical conditions that could be relieved using medicinal cannabis are included in qualifying illness. But perhaps the most important reason has to do with awareness and acceptance by the medical profession. Despite the millions of individuals who now have legal access to medical marijuana, licensed doctors and healthcare practitioners – especially those tied to large hospitals – refuse to even discuss marijuana as a viable option for people who need it to treat qualifying conditions. This is something we were eager to discuss with our guest, Dr. Bryan Doner, right after Nate Nichols’ Marijuana Minute update. Dr. Bryan Doner is an attending Emergency Physician in the E.R. of Armstrong County Memorial Hospital in Pittsburgh, where he also serves as Medical Co-Director of the Wound & Hyperbaric Center, Medical Director of the Primary Stroke Center, and President/CEO of D&P Medical Group. Among his long list of credentials, he is Board certified in Emergency Medicine, Hyperbaric & Wound Care Specialty (CHWS) by the American Board of Wound Healing, and a Fellow of the American Professional Wound Care Association (FAPWCA). He began extensive research in cannabis nearly five years ago and has attended many symposiums and educational meetings regarding medical marijuana and research. Dr. Doner immersed himself in cannabis business as an Arcview investor, MMJ nursery and dispensary owner, and founder of Compassionate Certification Centers. 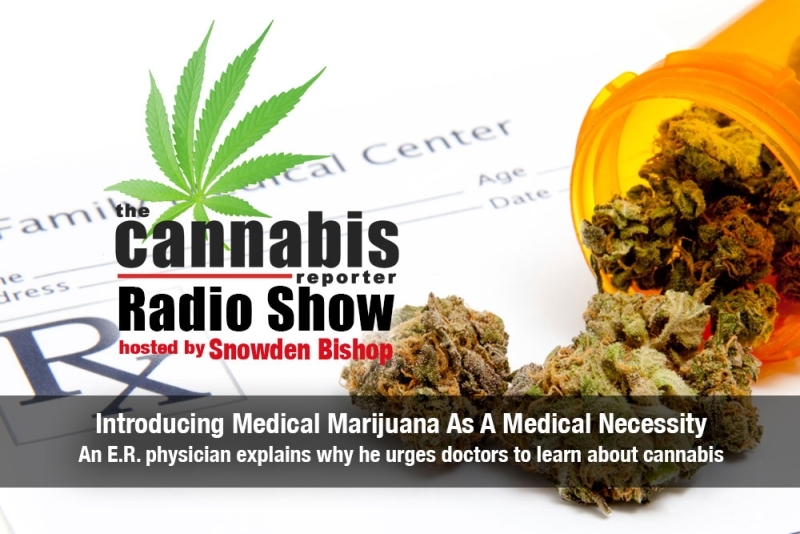 Dr. Doner advocates for advanced scientific research and is dedicated to educating medical practitioners about healing benefits of medical marijuana.